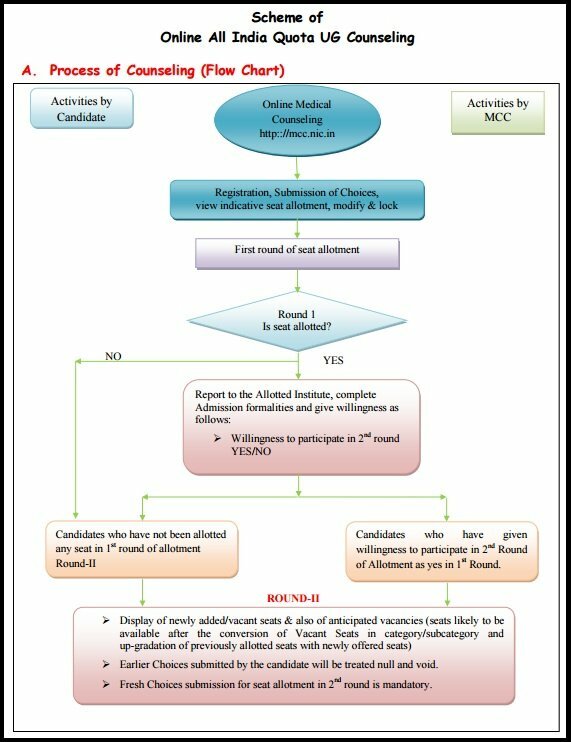 NEET Counselling 2017 (नीट काउंसलिंग ): The Medical Counselling Committee is going to start the counselling for the 15% all India quota seats from 3rd of July 2017. The NEET Counselling Registration 2017 will be done from 3rd July to 11th July. The students who have checked their NEET Result 2017 and qualified the exam will be called for the counselling process. The students can check NEET Counselling Schedule 2017 for the information of the dates for the counselling. 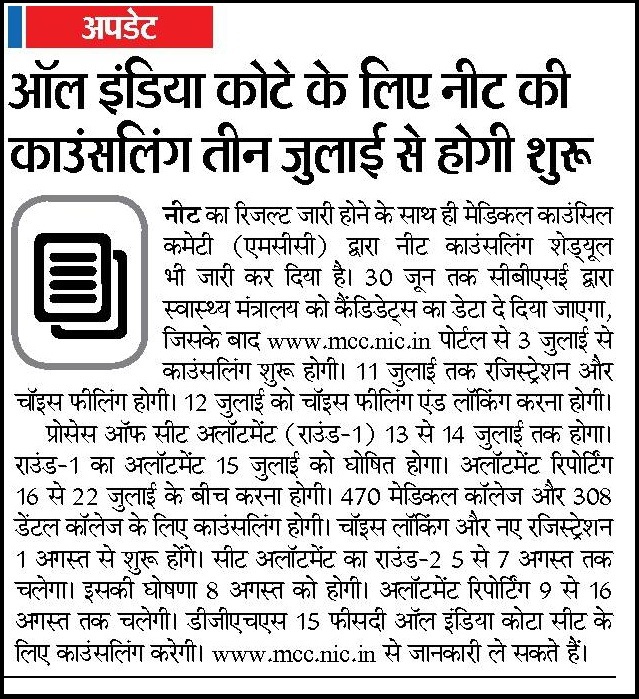 The authorities of MCC will be conducting the counselling process for the NEET Admissions 2017. The admissions to various medical colleges will be allotted to the students. According to the NEET Counselling Procedure, the allotment for the MBBS and BDS courses will be done according to the seat matrix of the colleges. 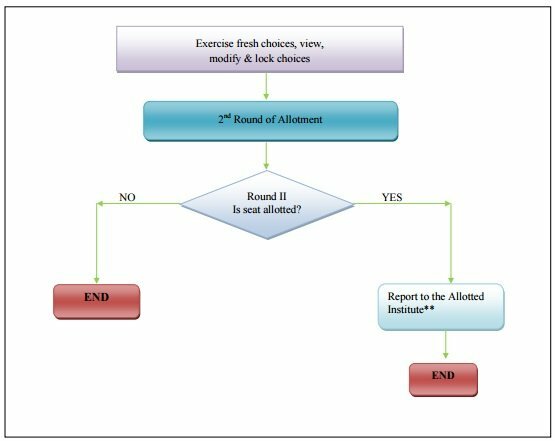 The students have to follow all the processes for the successful NEET Seat Allotment. The students who will be absent for the 1st counselling will be debarred from the counselling process. The state level counselling will be conducted by authorities of the respective state. 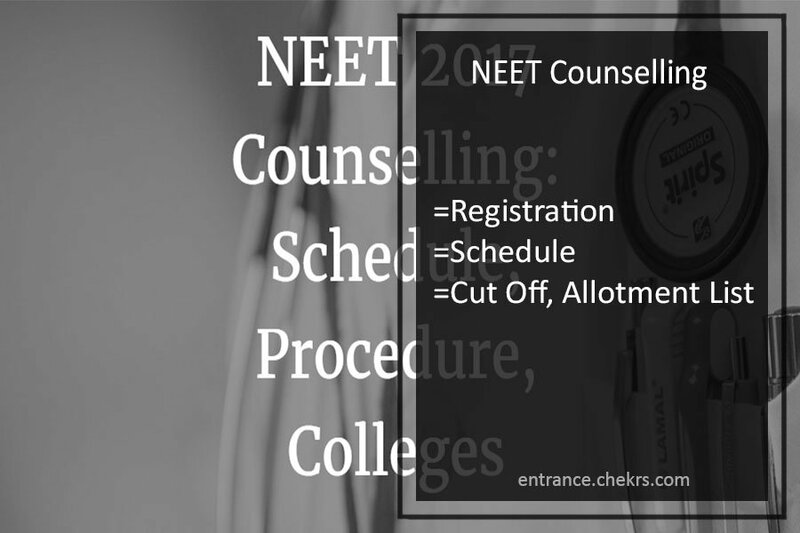 The students who are going to join the NEET counselling, they are required to follow each step for the allotment. The students who have qualified the exam only they can apply for the counselling process. The steps are given below. The students have to complete the NEET Counselling Registration for joining the counselling process. The registrations will be done on the NEET UG 2017 official portal. The registrations will starts on 3rd of July. The students will get a unique Login id and password after the successful registrations. The aspirants have to log in to the counselling portal with the registered id and password on the day of counselling. The Then they have to fill their preferences for the colleges. The aspirants have to lock their choices after filling. Once the choice will be locked it can not be changed. The students will be allotted seats on the basis of their NEET scorecard or rank. The students can check their NEET UG Counselling Result 2017 by SMS or email. The authorities will send a confirmation of the seat to the candidate’s registered number or mail. The aspirants have to report at the allotted centre. 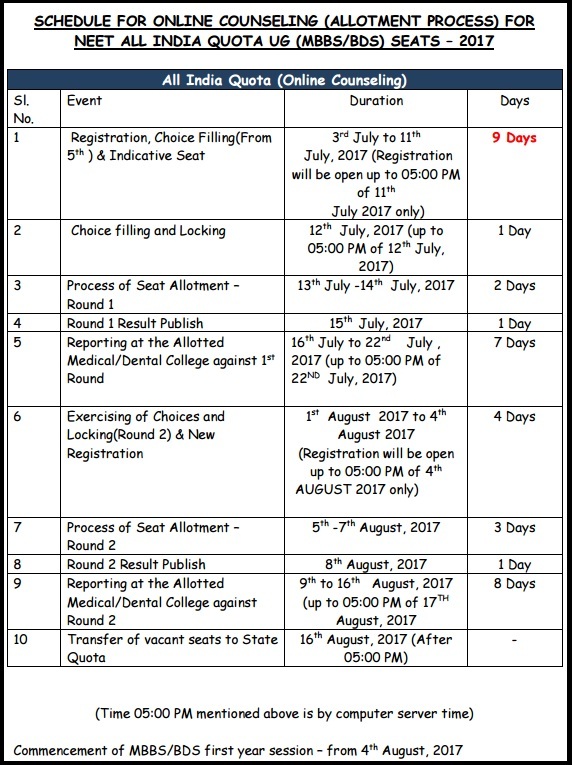 The NEET UG Seat Allotment 2017 will finish on 16th August. The aspirants have to submit their documents for the verification and admission fee on the day of reporting. The students who have cleared the NEET Cutoff 2017 will be eligible for the counselling. The authorities will release NEET MBBS Cutoff before few days of the counselling. The NEET BDS Cut off will varies according to the colleges. The cut off for different categories is given below in the table.For feedback and more queries regarding the NEET UG Counselling 2017, you can contact us by commenting in the comment section given below.